Many have asked how MANHATTAN SHORT came about and grew to what it is today. I've read stories in the press all over the world, and there are so many incorrect facts written about MANHATTAN SHORT, I thought it time to get the record straight. First of all, I'm not the drummer of Pink Floyd, but on September 27th 1998, I did attach a screen to the side of a truck on Mulberry Street NYC and projected 16 short films to an audience of about 300 New Yorkers scattered in the street, in what was the first MANHATTAN SHORT Film Festival. 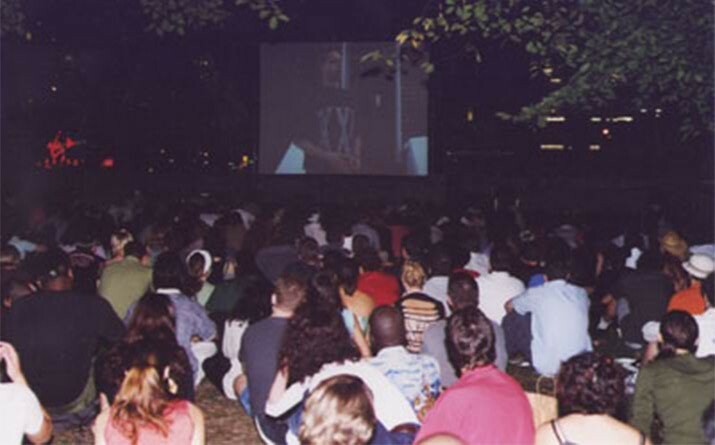 The following year we moved the event to Union Square Park NYC, with the Finalists' Films being judged by a panel of celebrity judges including Susan Sarandon, Eric Stoltz, Laura Linney, Roger Corman & Tim Robbins, to name a few notables. And that was how the event stayed, a pretty low key event in NYC until 2001. That year the Festival was scheduled for September 23rd 2001, just 12 days after 9/11. During the days leading up to this, Union Square Park became a shrine, a place where people gathered to grieve the loss of loved ones. The park was also surrounded by News Satellite trucks covering New York City and Ground Zero to the rest of the world. On September 15th I received a call from the NYC Parks Department, who requested no matter what, to please go ahead with MANHATTAN SHORT in Union Square Park as scheduled on September 23rd. We did, and the event received a lot of attention in the global media. A direct result from this was, the following year we received double the amount of film entries than we had from previous years. When I went through all 500 entries in 2002, I found the films collectively, were more revealing to what was happening in the world or how people in the world were feeling at that time, then say watching the ABC or NBC or any other form of news channel. 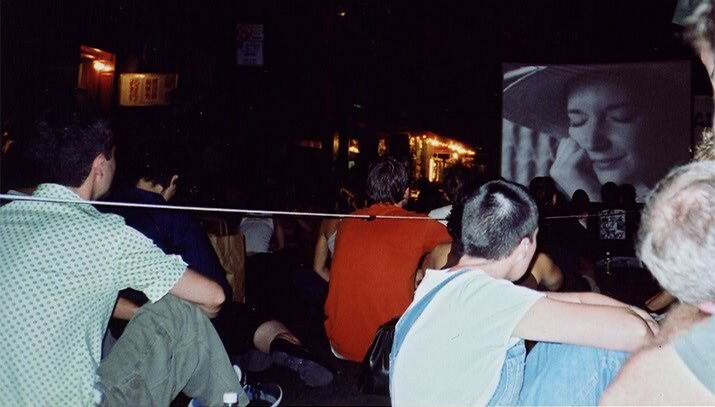 The idea of sharing this event with a wider audience outside Union Square Park NYC was inspired by all the films that entered this Festival during the years after 9/11. In 2003, I attempted to do a "Live" broadcast of the event from the park where all equipment we brought in for the live broadcast broke down and the whole project failed miserably. For the 2004 Film Festival, we created DVDs of the Finalists, and distributed them, along with Programs & Posters to seven cinemas, in seven cities in seven US states for seven shows in one week. It was also the year we introduced the "You Be the Judge!" concept, where we took the judging of the films away from celebrities and handed it over to the public. It was a huge success. The following year 2005, I contacted just about every independent arthouse cinema across the United States I could find, inviting them to be part of this event. We had 72 venues in 32 US states involved in 2005. Then in 2006, I packed a backpack and traveled Europe, talking to cinemas inviting them to be part of this Film Festival. About 20 Cinemas joined in, and that year, the film festival took place on both sides of the Atlantic. Audiences loved it, and each year after that we just continued to add venues in new continents, South America, Australia, Asia and in 2010 we added Africa to become the World's first Global Film Festival. 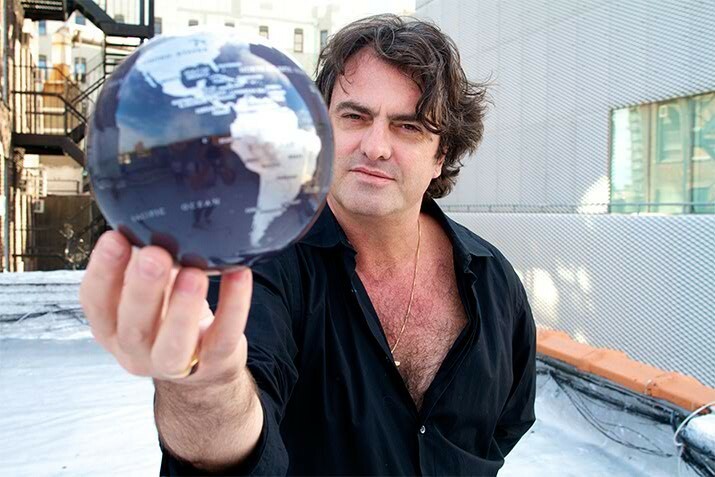 Today over 350 Cities across 6 continents take part in MANHATTAN SHORT during ONE WEEK of the year. It amazes me how an event can grow from a screen mounted onto the side of a truck on a downtown street, to what it is today in twenty-one years. There are many reasons for its success, and the main reasons are the Cinemas/Venues we partner with along with the cinema-going public that support them. I have become a firm believer that it's the public that create stars. Be it a film, a tune, a book, a new game, whatever... get it out to the public, get it in the right place, the right forum, and the public will transform it and take it to a place one would never have imagined. So that's how it happened, that's how it came to be... it was never planned but grew organically. Through a combination of being in the right place at the wrong time such as Union Square Park days after 9/11, unfailing enthusiasm for brilliant films and most of all the participation of the public throughout the world, have made MANHATTAN SHORT become what it is today. On behalf of us at MANHATTAN SHORT and the Filmmakers, we would like to thank YOU, the cinema-going public all over the world, for making MANHATTAN SHORT what it is today, as one reporter called it, "The World's most people powered Film Festival." That reporter got it right.